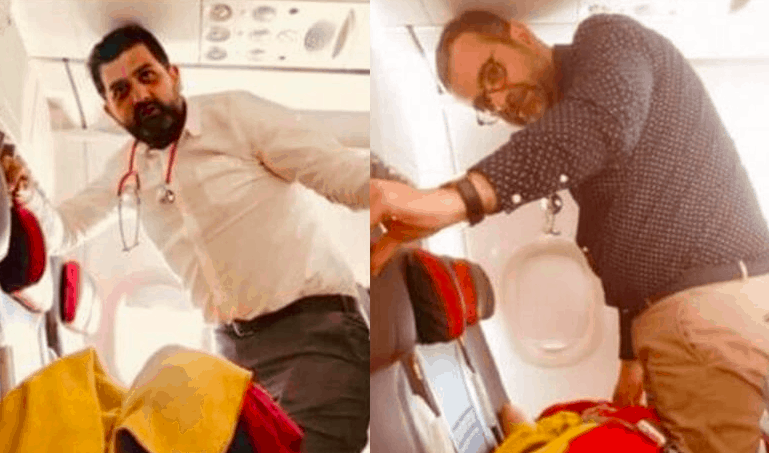 Two Greek doctors managed to save the life of a woman who suffered from a heart attack while traveling by plane from Lisbon to Zurich. Cardiologists George Angelopoulos and Nikos Spiliopoulos were on the same flight with the 54-year-old woman of Swiss background as they were returning from a medical conference held in the capital of Portugal. The woman, who was on the flight from Lisbon to Zurich, was meant to continue her journey on to Dubai, however she suffered a myocardial infarction on board the flight. Luckily the two Greek doctors used their medical knowledge and minimal means available on the plane to bring the woman back to life and stabilise her until the aircraft landed at Zurich Airport. An ambulance was waiting for her upon arrival at the airport and she was taken to hospital for further examination.